When it is the middle of the winter and your heater goes out, it can be frustrating. It is too cold outside to leave the problem for a more convenient time. You need to get it fixed immediately so you and your family can stay warm. You also need to keep your home heated because if it gets too cold in your home, water pipes can freeze and leave you without water to certain areas or a big flood when a pipe bursts and leaks water all over your home. Heater repair does not have to be stressful for you. 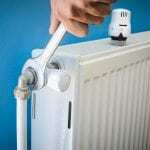 You can call an experienced heating company and they will take care of everything. They will look at your heater and find what the problem is. They will then let you know what the issue is and their recommendation on the best and most effective way to fix it. They can have your heater up and running as quickly as possible so that your home can have heat all winter long. If your heater is too old to repair, or too far damaged, they can go over all the options for you on getting a new furnace installed. They will work with you every step of the way to make sure all your needs are met and that you are completely in agreement on the best way to get your furnace working. If you are in need of heater repair, contact us today at Air Kool Heat & Air. Our experienced team of heating professionals are very experienced and will get the job done right. We are highly reliable and will show up on time and ready to work.